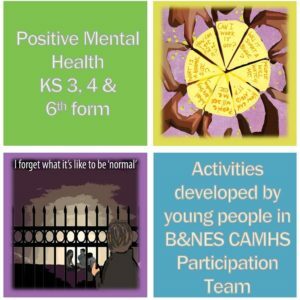 This pack contains a range of activities suitable for students in secondary school to promote and support positive mental health and reduce stigma. These can be used in PSHE lessons, tutor time, small group and individual sessions. The pack includes a wide range of activities of varying lengths which can be used on their own or in combination with other activities, to provide flexibility. The young people involved in creating this resource have selected the topics and developed the activities in order to engage, challenge and educate their peers but also to equip them with the tools and information they need to deal with the difficulties they may face.